This section describes mandatory requirements and best practices for optimal placement of the CONNEX LR. Place the CONNEX LR as High as Possible: Place the CONNEX LR on a tripod or pole so that it is as high as possible. A height of 2 meters is optimal. 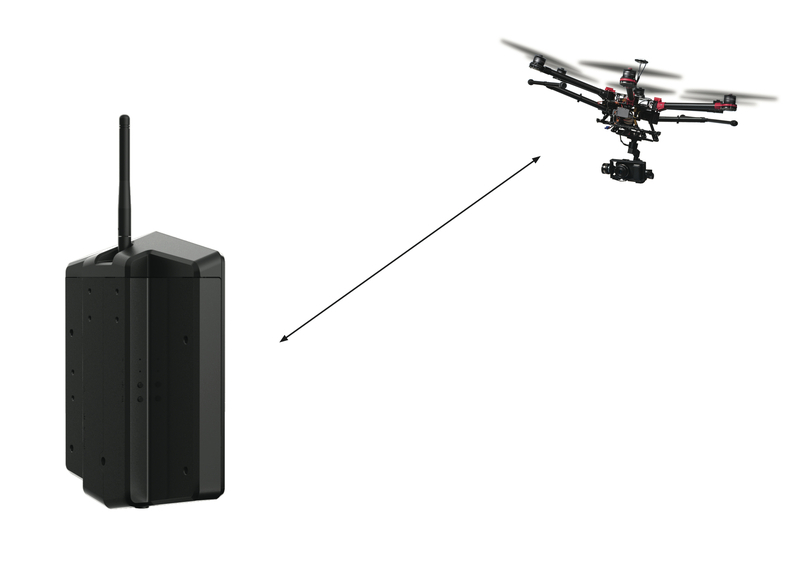 Place the CONNEX LR Facing the Air Unit: Place the CONNEX LR so that its antenna plane is facing upwards in the general direction in which the drone will be flying, as seen in the illustration below. Avoid Interference: Place the CONNEX LR as far away as possible from other transceiver devices, especially transmitters in the 5 GHz band.